We’re excited at TCFA to welcome Toivo back for another Dance Party. On Sunday, March 13, the first day of Daylight Savings Time, Toivo, playing traditional dance music of the Finger Lakes and more, will brighten the scene at the Conservatory’s incomparable hardwood dance floor. The event begins at 3:30pm with waltz instruction by Rick Lightbody and partner Carol Johnson, with Toivo on to play music for dancing 4:30-7pm. Tickets, $5, will be available at the door. Refreshments, sweet and savory, will be available. Toivo’s sound supports waltzes, but also tangos, scottisches, polkas, foxtrots, two-steps and hambos, all traditional dances, but they add in originals and some Tex-Mex tunes to keep things especially lively. 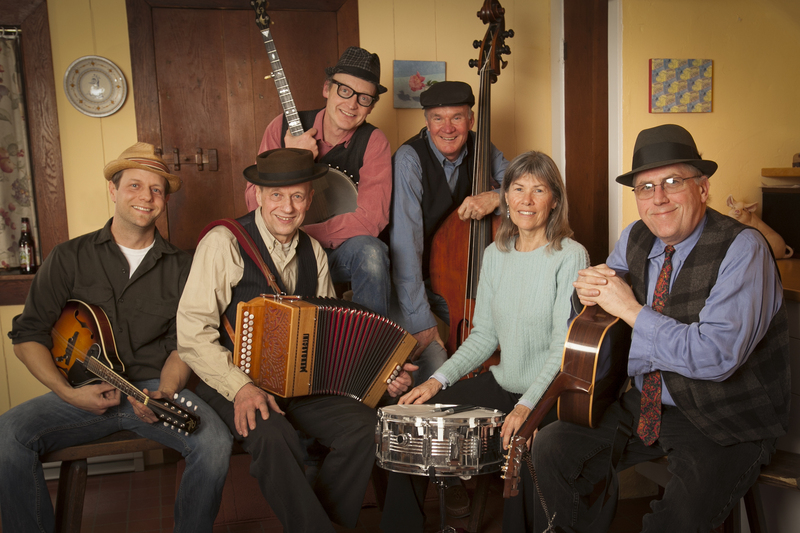 The players are Richard Koski, button accordion; Jason Koski, mandolin; Stefan Senders, banjo; Jim Reidy, guitar; Harley Campbell, upright bass; and Annie Campbell, snare drum. Come on over and Spring Ahead!